Akkary Surgery Center has been serving patients in Morgantown, West Virginia, since 2008, but its more than its decade-long history that sets Dr. Ehab Akkarys practice apart. From its inception, the center has been breaking new ground in Cosmetic and Bariatric treatments while simultaneously establishing innovative standards in personalized patient care. Unlike other practices, Akkary Surgery Center offers a rare combination of General Surgery using Advanced Laparoscopic Techniques, Weight Loss Bariatric Surgery and Cosmetic Surgery all under one convenient roof. As Dr. Akkary explains, We were the first to do quite a few things in West Virginia. 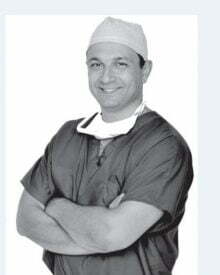 In fact, he started his practice at an academic institution followed by a community hospital where he and his team were able to achieve the sought-after designation of Bariatric Surgery Center of Excellence at both hospitals. Dr. Akkarys was also the first practice in Central West Virginia to offer gastric balloon procedures. Given his diverse background, the breadth of his practice should not be surprising. Dr. Akkary completed his General Surgery Residency training in Michigan and then completed two Fellowship training programs: Bariatrics Advanced Laparoscopic Surgery at Yale University, New Haven, CT, and Cosmetic Surgery at Shumway Cosmetic Surgery Institute, San Diego, CA. Always pursuing innovations that benefit his patients, Dr. Akkary continues to expand his credentials, pursuing Board certification in cosmetic surgery to add to his current Board certification in General Surgery while also pursing AAAHC certification. Dr. Akkary performs General Surgery such as Hernia; Hiatal Hernia; Nissen Fundoplication; Gall Bladder Surgery; Splenctomy; Stomach, Colon and Small Bowel Resections and Bariatric Surgery including Roux-Y Gastric Bypass, Adjustable Gastric Band, Vertical Sleeve Gastrectomy, Gastric Balloon and Revisional Procedures via a minimally invasive laparoscopic approach. These minimally invasive procedures reduce the time patients spend in the hospital, cutting recovery times, minimizing pain and providing far more cosmetically attractive results. Dr. Akkary has built his practice by building personal relationships with his clients, consistently receiving patient-voted awards for his dedicated and compassionate care. While some surgical practices might focus on high volume, Dr. Akkary carefully limits the number of clients he sees, because he believes in giving each his individualized attention. When patients come in, they always see me personally. They have my phone number and can reach me directly. 1) The 2nd award in the NOMC Research Forum, April 2005, North Oakland Medical Centers, Pontiac, MI. for the oral presentation: Intravenous Fluid Requirements in Laparoscopic Sigmoid Resection Compared to Open Sigmoid Resection. 2) The 1st award in the NOMC Research Forum, April 2005, North Oakland Medical Centers, Pontiac, MI. for the oral presentation: The Effect of One Comorbidity, Degenerative Joint Disease, on weight Loss after Laparoscopic Adjustable Gastric Band. 3) The 3rd award in the NOMC Research Forum, April 2006, North Oakland Medical Centers, Pontiac, MI. for the oral presentation: Midterm Follow-up of One Co-morbidity, Degenerative Joint Disease on Weight Loss Following Laparoscopic Adjustable Gastric Band. 4) The 2nd award in the NOMC Research Forum, April 2006, North Oakland Medical Centers, Pontiac, MI for the oral presentation: Colchicine Inhibits Pressure Induced Colon Cancer Cell Adhesion in a Mouse Tumor Model. 5) Research Recognition in NOMC Graduation, June 2006, North Oakland Medical Centers, Pontiac, MI for the research on the Support Groups Role in Weight Loss Post Laparoscopic Gastric Banding. 6) Resident Achievement Award from SAGES, June 2006. 7) Glenn A. Sanford Memorial Award for Excellence in Surgical Skills from NOMC, June 2007. 8) Resident Achievement Award from SAGES, June 2007. 9) Award For Honorable Mention Scientific Paper-General Surgery. From SLS for the oral presentation “Sutureless Laparoscopic Ventral Hernia Repair in Obese Patients” in the 17th SLS Annual Meeting and Endo Expo, Sept 17-20, 2008, Chicago, IL. 10) National Doctor’s Day Award for “Providing Extraordinary Patient’s Care” from West Virginia University, March 09. 11) “Best of Class” Award, 99th percentile rank in Press Ganey Database for 2008. From West Virginia University, April 2009. 12) Winner of National Doctor’s Day Award for “Providing extraordinary Patient’s care” from West Virginia University, March 2010. 13) Certificate of Recognition, Conference Faculty. 19th SLS Annual Meeting & Endo Expo 2010 Jointly with the ISGE Regional Meeting, September 2010, New York, NY. 14) Certificate of Recognition, Scientific Presentation. 19th SLS Annual Meeting & Endo Expo 2010 Jointly with the ISGE Regional Meeting, September 2010, New York, NY. 21) Plaque of Recognition, 2nd annual meeting, Egyptian Chapter of the American College of Surgeons, May 2013. 1] Omental Mass Secondary to Metastatic Breast Cancer. Elakkary E, Dwivedi A, Prakash S. Dig Dis Sci .49 (2), 2004: 308 -311. 2] Appendicocutaneous Fistula from a Carcinoid Tumor of the Appendix. Elhorr A, Dwivedi A, Elakkary E, Prakash S. Surgical Rounds. 27 (4), 2004: 176 -181. 3] Vaginal Leiomyoma. Elakkary E, Elhorr A, Kumar A. Surgical Rounds. 27 (8), 2004: 378 – 380. 4] Laparoscopic Adjustable Gastric Band: Do Support Groups Add to the Weight Loss? Elakkary E, Gazayerli M. Obes Surg, September 2004, Vol 14, pages: 1139 – 1140. 5] Bowel Obstruction Secondary to Idiopathic Adhesions. Elakkary E, Dwivedi A, Elhorr A, Phan T. Dig Dis Sci. 49 (10), 2004: 1687. 6] Do Support Groups Play a Role in Weight Loss After Bariatric Surgery? Elakkary E, Elhorr A, Gazayerli M. SOARD. 1 (3), 2005: 262 (Abstract). 7] Enterocutaneous Fistula, a Rare Complication of Laparoscopic Adjustable Gastric Band. Elakkary E, El Essawy D, Gazayerli M. Obes Surg. 15 (6), 2005: 897-900. 8] Inflammatory Myofibroblastic Tumor of the Small Bowel Mesentery Mimicking Ectopic Pregnancy. Elhorr A, Elakkary E, Bleibel W, Phan T. Surgical Rounds. 29 (1), 2006: 30-33. 9] Acute abdomen secondary to perforated ileal Diverticulitis. Elakkary E, Sincos I, Bolton S. Surgical Rounds. 29 (3), 2006: 125-127. 10] Do support groups play a role in weight loss after gastric banding? Elakkary E, Elhorr A, Aziz F, Gazayerli M, Silva Y. Obes Surg. 16 (3), 2006: 331-334. 11] A correlation between the shape of the epiglottis and obstructive sleep apnea. Gazayerli M, Bleibel W, Elhorr A, Elakkary E, Maxwell D, Seifeldin R. Surg Endosc. 20 (5), 2006: 836-837. 12] The Shape of The Epiglottis Reflects Improvement in Upper Airway Obstruction After Weight Loss. Gazayerli M, Bleibel W, Elhorr A, Elakkary E. Obes Surg 16 (7), 2006: 945-947. 13] Spiral Cystic Duct: Beware!! Elakkary E, Ching K, Jacobs, M. JSLS. 10(4), 2006: 514-516. 14] Endometrioma of the Large Bowel. Kanthimathinathan V, Elakkary E, Bleibel W, Kuwajerwala N, Conjeevarum S, Tootla F. Dig Dis Sci. 52 (3), 2007: 767 – 769. 15] Intravenous Fluid Requirements in Laparoscopic Sigmoid Resection Compared to Open Sigmoid Resection. Elakkary E, Elhorr A, Tootla F, Silva Y. Surgical Rounds. 30 (3), 2007: 141- 144. 16] Fibromyxoma of the Small Bowel Review Article. Chaku M, Elakkary E, El Sarraf F, Phan T. Dig Dis Sci. 52(5), 2007: 1150-1153. 17] Masters Allen Syndrome Review Article. Gupta R, Elakkary E, Sadek M, Lakra Y. Dig Dis Sci. 52(8), 2007: 1749-1751. 18] Surgical Technique For Gastric Band Placement. Gazayerli M, Adair J, Harvey KP, Elakkary E, Elhorr A. SOARD. 3(4), 2007: 488-489. 19] Recent Advances in the Surgical Treatment of Achalasia and Gastroesophageal Reflux Disease. Elakkary E, Duffy A, Roberts K, Bell R. J Clin Gastroenterol. 2008, 42(5):603-609. 20] Deciphering The Sleeve: Technique, Indications, Efficacy And Safety Of Sleeve Gastrectomy. Akkary E, Duffy A, Bell R. Obes Surg. 2008 Oct (10):1323-1329. 21] Socioeconomic Predictors Of Weight Loss After Laparoscopic Roux-Y Gastric Bypass. Akkary E, Nerlinger A, Yu S, Dziura J, Duffy A, Bell R. Surg Endosc2009;23(6):1246-1251. 22] The Paradox Of The Pouch: Prompt Emptying Predicts Improved Weight Loss After Laparoscopic Roux-Y Gastric Bypass. Akkary E, Sidani S, Boonsiri J, Yu S, Dziura J, Duffy A, Bell R. Surg Endosc 2009;23(4):790-4. 23] The Role of Haptic Feedback in Laparoscopic Simulation Training. Panait L, Akkary E, Bell RL, Roberts KE, Dudrick SJ, Duffy AJ. J Surg Res 2009;156(2):312-316. 24] Current Surgical Treatments of Gastgroesophageal Reflux Disease. Martin L, Caranasos T, Akkary E. European Gastroenterology and Hepatology Review. 2009;5:7-10. 26] Retained Sponge, is it Still a Problem in Current Surgical Practice? Akkary E, Singer D, Holloway D. Journal of Abdominal Surgery Winter2009/Spring 2010. 27] Superior Mesenteric Artery Aneurysm, uncommon Disease with Potentially Serious Complications. Review Article. Akkary E, Cramer T, Patel M, Kanthimathinathan V, Phan T. WV Medical Journal. 2010; 106:10-14. 29] Survey of the Effective Exercise Habits of the Formerly Obese. Akkary E, Cramer T, Chaar C, Rajput K, Yu S, Dziura J, Roberts K, Duffy A, Bell R. JSLS. 2010;14(1):106-114. 30] Routine Upper Endoscopy Before Bariatric Surgery. Would it Influence the Surgical Plan? Akkary E, Koay J, Jaramillo C, Brusatin O, Vona-Davis L, Gazayerli M. (in process). 31] Retroperitoneal Myoma And Chronic Pelvic Pain. Case report and literature review. Lukanova M, Akkary E, Popov Y, Stoykov D, Nikolova M. Gynecol Surg. 2010; 7(4): 369. 33] Sutureless Laparoscopic Ventral Hernia Repair in Obese Patients. Akkary E, Panait L, Roberts K, Duffy A, Bell R. JSLS. 2011;15(2):154-159.